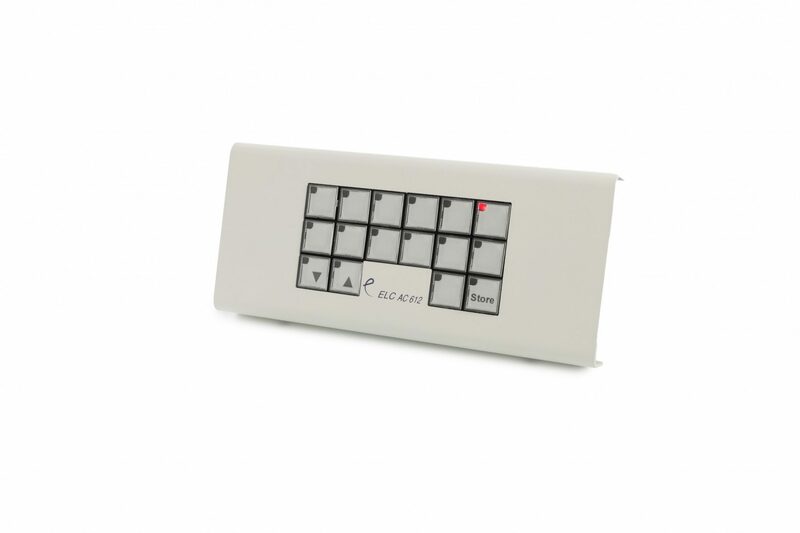 The AC612XUB is a 12-memory push button playback panel with terminal connections. 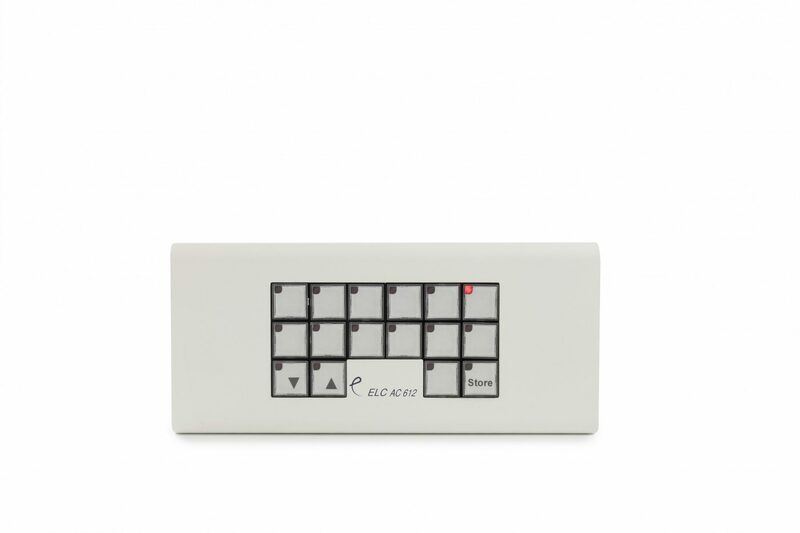 The AC612XUBX has the same functionality but is supplied with XLR connections for DMX and a USB connection for firmware upgrades and programming. A universal USB power supply is provided with the XLR version.